When Orville and Wilbur Wright first sailed their heavier than air engine powered flying machine through the skies of Kitty Hawk, North Carolina, they could not have even begun to know about the impact that they would have on the planet in its entirety. All of a sudden, a trip from New York City to San Francisco would take a matter of hours as opposed to months. A trip from Boston, MA to Bridgetown, Barbados (the two largest cities in the new world in the 1600s) used to take 2 months. Now, with the miracle that is powered flight, you can go on a tropical Bajan vacation from snowy Boston in less than five hours. Powered flight has enabled the world economy to grow and become more interconnected. It has let humans from all over the planet share in each others’ knowledge, cultures, and religion to a scale never before seen. Only a mere 66 years after the first human left the ground, the first human landed on the moon. Planes had already been a part of the international and national lexicon for decades. In fact, some of the largest planes ever built originated from around this beginning era of flight, at a time when it was still new enough that humans didn’t really have any real idea as to what they were doing. But now, we have some truly enormous planes, planes which the Wright brothers would never believe would be able to fly (and which are hard for us to believe as well). Today we have planes that are so big that they can actually carry other planes. Planes that carry space shuttles. We even have planes capable of launching satellites into orbit. We sure have come a long way from the canvas biplanes from the yearly days of yore. 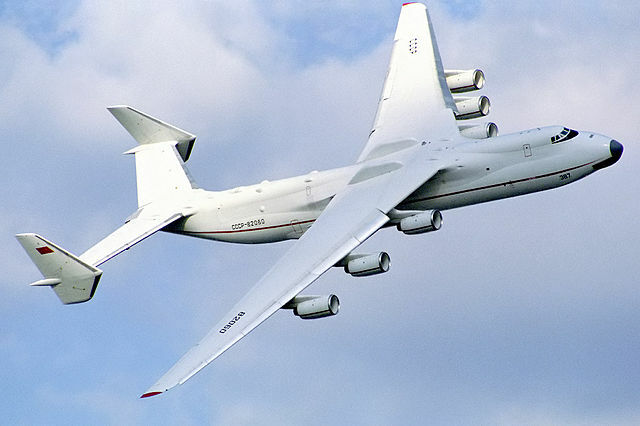 This giant’s design and development started in 1971 by the Soviet Union as a strategic airlift plane, back in the early 1980s. Its first maiden flight was in 1982 and it’s still used today, although production stopped back in August 2014 thanks to the Ukrainian and Russian feud. It was designed primarily for carrying and delivering extremely heavy cargo. These days it’s one of the biggest production military crafts in the world and there are over 40 active planes mostly for commercial use. 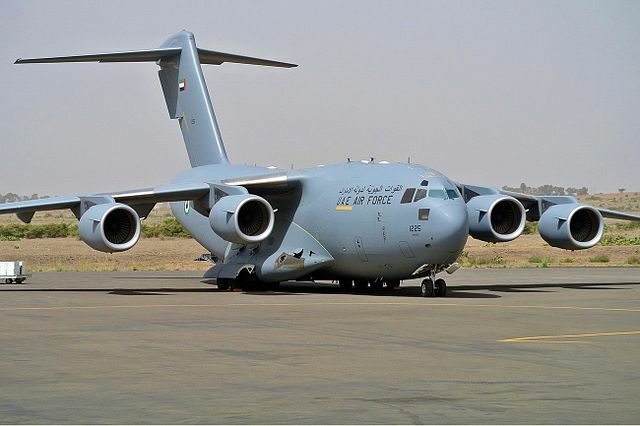 It’s still the largest military aircraft to still be in use, and can carry up to 150 tonnes of cargo. That’s impressive stuff! Only one of these huge planes was ever built as a prototype, back in the 1940s. Based on the Convair B-36 Bomber, this plane was the biggest land-based transport aircraft with a piston-engine to have ever been built. This beast’s features are very similar in their characteristics to its prototype with having the same wings and engines. It can be loaded up to 50 tons or in human numbers, van carry hundreds of soldiers with full equipment. It’s first and only flight was on the 24th November 1947 in California. It’s now in the National Museum of the United States Air Force in Dayton, Ohio if you want to take a look. The one piece was stopped being in service in 1957. 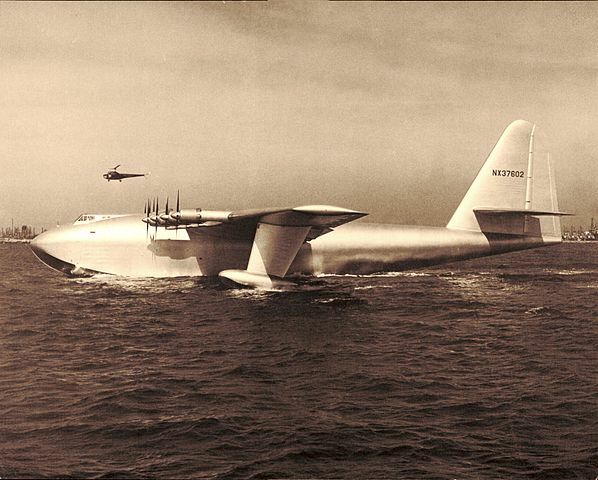 Known as a “very large flying boat” or a “flugboot”, this plane is something quite extraordinary. It was the largest aircraft built by any of the German allies during World War II, but only one was ever completed. Its first flight debut was in 1944 and in fact, until then it was the heaviest plane that ever flew. The German plane is so heavy that it weighs around 60 tons just being empty. Two more prototypes were in the making, but these were scrapped before the war ended. Unfortunately, the only known model of the Blohm & Voss BV 238 was attacked and sunk into the water back in 1945. Another plane that hails back to the World War II era is the HK-1, fondly known as the “Spruce Goose”. While it never made it past the prototype stage it did see a couple of voyages, one of which was just 70 feet. The aircraft which was designed primarily in order to transport cargo and men for large distances. The 400,000 pound flying machine was originally constructed to be able to carry troops not necessarily during critical wartime. Hughes sure was invested in the building of the HK-1 that e spent $18 million of his personal net worth in order to complete the construction. This model was however useful for one thing; it’s been used as inspiration for similar, larger planes. It’s now at its final resting place, at the Evergreen Aviation Museum. This is known as the largest airplane in the world and is also the heaviest on the planet. It was produced in 1988 by the Soviet Union and only one was ever manufactured – however, that one is still in service today. It’s first fligth was on December 21 1988, a flight that lasted 74 minutes. It was statically and publicly displayed at Paris Air Show just one year later. The second An-225 was complete in 2011 after it’s been delayed for different reasons. It’s a cargo aircraft with strategic airlift capabilities, and holds the world record for the heaviest airlifted payload – 253,820kg or 559,577 pounds. Don’t be confused by the name, this is most definitely a military aircraft. In fact, despite being called Peacemaker, this plane is a strategic bomber. Built in the 1940s, its first flight was on the 8th August 1946. Between 1948 and 1959 it was the main weapon and bomber that was used for nuclear purposes by the USAF Strategic Air Command until the Boeing B-%2 stepped in. Despite its misleading name, it was never in fact used in combat. 384 of these were produced between 1946 and 1954, making it also one of the most popular large aircraft on our list. It was also used for delivering nuclear weapons… Fun! on our list. 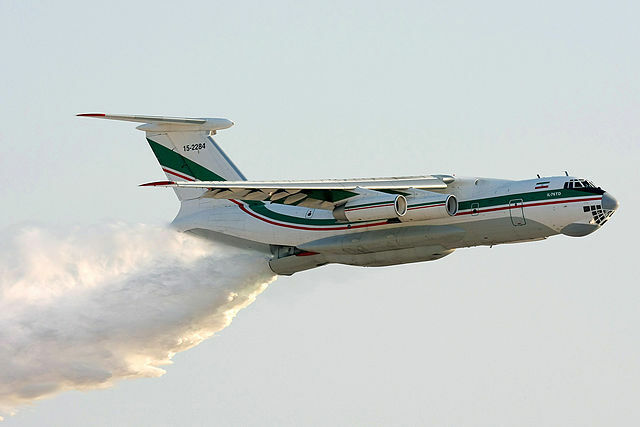 The Ilyushin II-76 is the first four-jet transport that Russia owns and was originally intended for flying military cargos under the harshest circumstances and the toughest weather conditions straight to the frontline. Its flight debut was in 1971. It’s still in production today, although the expense of such a giant jet means that there aren’t very many being bought and sold. Despite everyone wanting to get their hands on one! We’re going all the way back to 1916 now, with one of the biggest aircraft during WW1 – at least one of the biggest to be regularly used. The Germans created this plane as a strategic bomber and 18 were built in total. The engineering team of the first shield that was built, included some very prominent names like Alexander Baumann and Claudius Dornier. During World War I, it was the biggest wooden airplane to be produced at the time. The wingspan of 138 ft makes it the biggest airplane to be used during WW1 on a regular basis. Not bad, considering it’s made of wood. This is actually one of the more foreboding looking planes on our list! 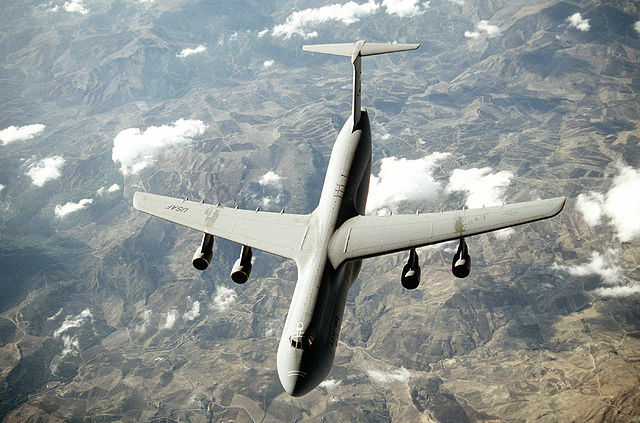 The Globemaster III is used as a cargo plane, and can take off or land in practically any terrain. The design and development of this USAF machine began in the 80’s by McDonnell Douglas, and it wasn’t until 1991 that it made its first flight. This prototype was apparently quite popular as 250 of the same aircraft were built to be used all over the globe. The United States Air Force are clearly big fans of their creation, having over 260 in active use currently. With a wingspan of 170 ft and a 80-ton equipment limit, it’s definitely one of the biggest on our list. Another plane to make it onto our list that is still being used actively. The Lockheed Martin C-139J Super Hercules (yep, that’s a mouthful), is currently being used by air forces in over 14 countries. The huge aircraft was designed by Lockheed Martin and its first flight took place in 1996, while the original Hercules first flew in 1954. By recent years there have been nearly 300 versions of the Super Hercules that were developed for many countries, including Australia, Canada, Italy and India. Instead of using jet engines like most of the others on this list, it uses props instead. Along with being a military aircraft, it’s often used to put out wildfires, due to being able to carry large amounts of water. Most of the planes we’ve covered have either been American or Soviet, so this one comes as a welcome addition. The Kawanishi H8K is a Japanese plane that was built for maritime patrol duties during WWII. Its first operational use took place on the historic second attack on Pearl harbor which happened on March 4, 1942 during nighttime. The first time it was used did not happen long after it entered production, as it was first worked on in 1941. 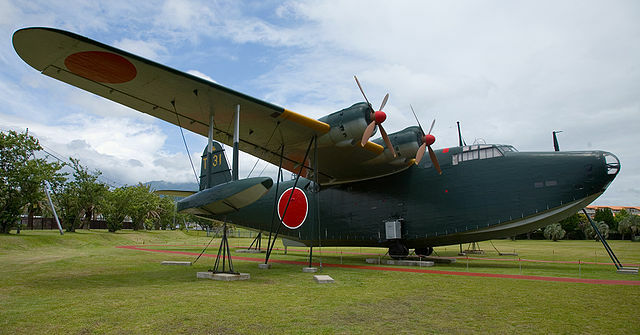 This flying boat was the largest aircraft built by Japan during WWII to actually have more than one produced. In total 167 were built before it was retired in 1945. Talking of flying boats, here’s another one to make it onto our list. 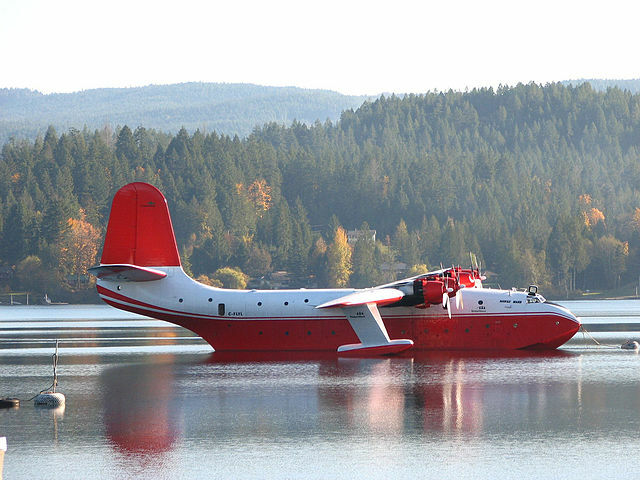 The Martin JRM Mars is actually the largest of any of the flying boats on our list, and was built by the US. Only seven were built in total, between 1945 and 1948. The seaplane which was designed specifically for the US Navy during World War II, has only been replicated seven times. Some of the airplanes that did survive, have been used for civilian purposes over the years to firefight water bombs by installing tanks to allow uploading the water while it was moving slowly before taking off. However, if you’re worried you missed out, there is actually one left that’s still in active service – although what it’s used for we have absolutely no idea. The Boeing KC-135 Stratotanker is a military aerial refueling aircraft. Together with the Boeing 707 airliner, it was developed based on the Boeing 367-80 prototype, and is the main aircraft of the C-135 Stratolifter family. This aircraft was the American Air Force’s first jet-powered refueling tanker and served as a replacement to the KC-97 Stratofreighter. This impressive plane was used a great dal in the Vietnam War, as well as later on in the Operation Desert Storm, in order to increase the ranger as well as endurance of the United States fighters and bombers. The CF-18 aircraft was built based on the F/A – 18 platform. It was designed for several purposes and missions and has a maximum speed of Mach 1.8, which means 1,814 km/h, as well as a range of 3,330 kilometers. It can climb at an rate of 50,000 feet/minute. The aircraft’s cannon in a 20mm is a Vulcan gun which can fire up to 6, 000 rounds per single minute. Furthermore, it can carry missiles air-to-air and air-to-ground, and even laser-guided bombs. 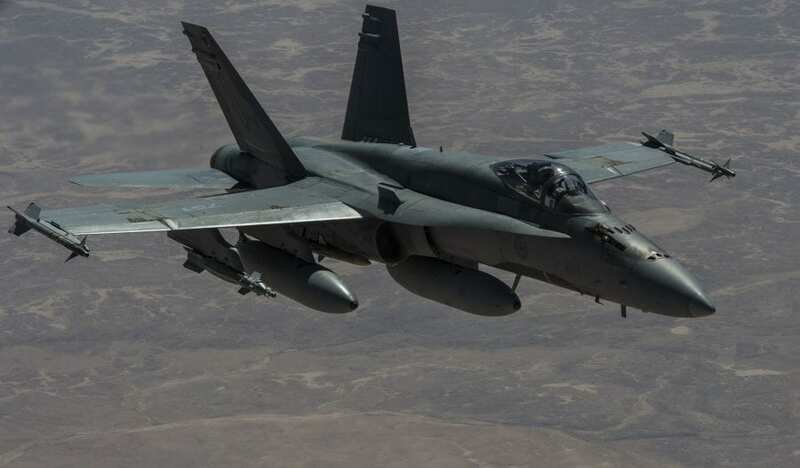 This Canadian aircraft has been upgraded throughout history and has been Canada’s main fighter plane for over 30 years. The Canadair CF-104 Starfighter was a remake of a fighter design from the 1954 Lockheed. 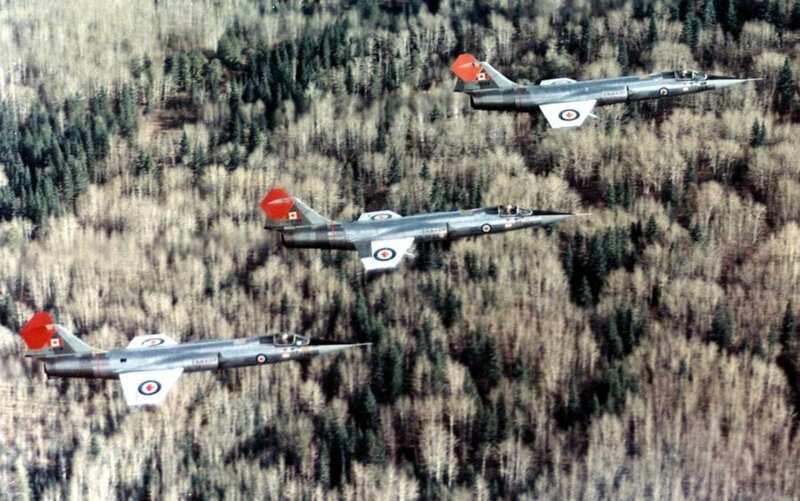 It started to service the Canadian military in 1962 and was designed specifically to intercept aircraft. It was also used in low-level strikes. The aircraft has a maximum speed of 1,844 km/h and a range of 2,630 kilometers. It was created for the use of the Canadian military, however it was used by the Royal Canadian Air Force as well, and was the fastest aircraft they ever used. However, pilots complained about it’s lack of maneuverability. 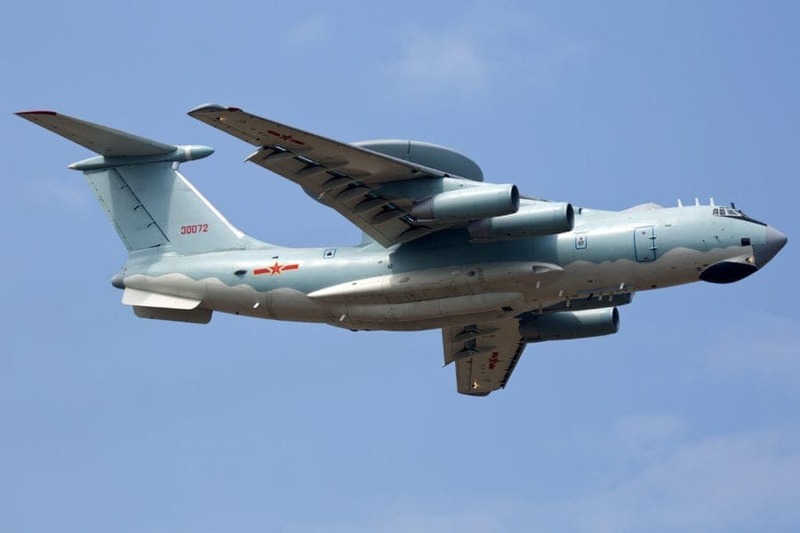 The KongJing-2000 is the first operational airborne early warning and control aircraft of China. It is quite similar to the American E-3 Sentry plane, as it is an Il-76 cargo plane which is specially made to carry a disc-like radar dome. The sensor can detect aircraft from over 300 miles away! This aircraft is a force multiplier, which means it is supposed to enhance other aircraft, and could detect all enemy aircraft coming from all directions. The KJ-2000 has helped monitor China’s new Air Defense Identification Zone in the disputed area of the Senkaku Islands. 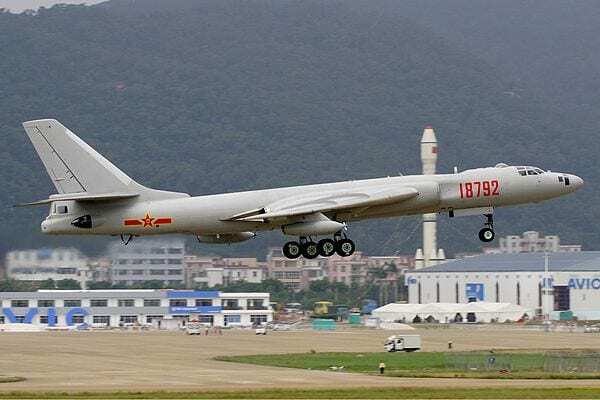 The Xian H-6 bomber is China’s first modern aircraft, as well as it’s only heavy bomber. It was first licensed in the late 1950s from the Soviet Union, and since then it can been updated several times. It was designed to drop nuclear bombs, however it has developed into serving other roles, such as conventional bomber, missile carrier and refueling tanker. The H-6 has not yet fought in combat with China, but the bombers helped break up ice floes in the Yellow River by dropping 24, 1,000 pound bombs in the river. The Tu-154 special missions aircraft fly in very close proximity to ships and aircrafts of foreign countries to China. It photographs them and takes in the electromagnetic signals in which they broadcast. On the outside, the Tu-154 SMA appears as a passenger plane, but if this plane flies fast you, there’s no way the Chinese military doesn’t know a great deal about you. It acts almost like an ultrasound. Similar to the KJ-2000 radar planes, the Tu-154s have also flown over the new Air Defense Identification Zone in the East China Sea. As with many of the planes on this list, the Junker JU 390 was only ever really built as a prototype. 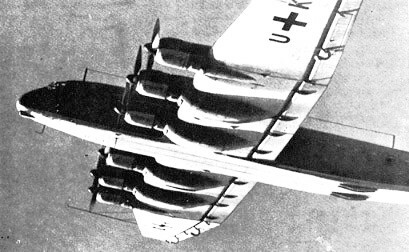 The Germans designed and built this plane in order to use it as a heavy transport aircraft, and also as a long-range bomber. The Junker Ju 390 is known to have two famous versions. The V1 first flight was tested on October 20, 1943 and was presented to the Nazi leader, Adolf Hitler one month later. The V2 was reportedly completed by the mid 1944. 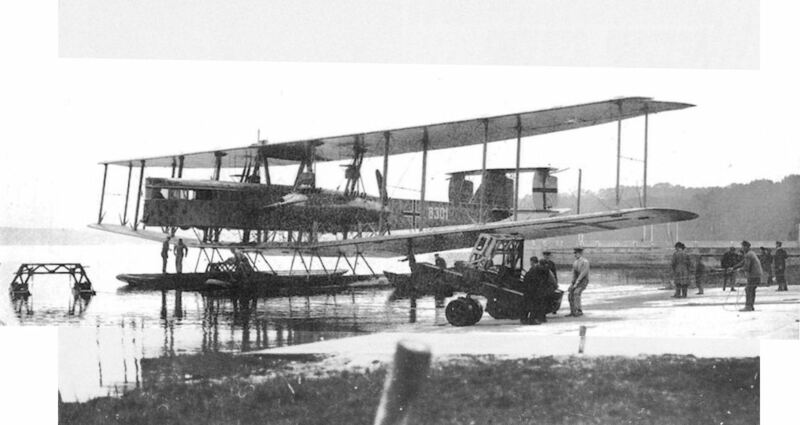 At the time, it was the largest aircraft to have ever been built – until the Blohm & Voss 238 had its maiden flight. It had a wingspan of just over 165 ft. This is one of the largest military planes in the world that’s still in use – and it’s one of the most modern on our list, despite hailing from the late 1960s. Its first ever flight was in 1968 but was only first operated a year later in December 1969. It wasn’t all smooth sailing, or flying, for the C-5A as it suffered from some technical and financial problems such as wings cracking. There were 81 aircraft in total that were produced and delivered. Some of the technical problems included cracks that were found on the wings which caused for cargo weigh limitation. This transport aircraft is used primarily by the United States Air Force, although there are 131 in circulation around the world. Back in 1998 these cost a whopping $152.8 million to make, but the newest versions now cost less than $90 million. Another older plane to make it onto the list is this German offering, which was designed and built back in 1917. While they tried to make something that was sturdy and large, the reality was quite different from the expectation. While expectations were high, both prototypes that were build had failed during the test fly and were performing very poorly. The main material that was used in the airframe was wood. It could carry up to six crew members, and after the war it was planned to make it spacious for 12 people, however the Versailles Treaty restrictions terminated that. Both prototypes crashed during their first flights in 1919, with a structure that was far too weak to take to the skies. The Linke-Hofmann R.II was quickly discontinued and used as a learning curve. This military aircraft was absolutely huge for its time and quickly became a popular plane during World War II and the Korean War. 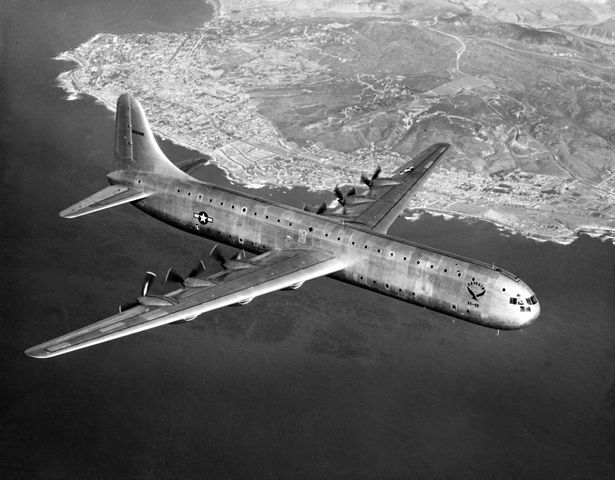 The plane, used mainly by the US, was extremely advanced for its time; having first been introduced in 1944. 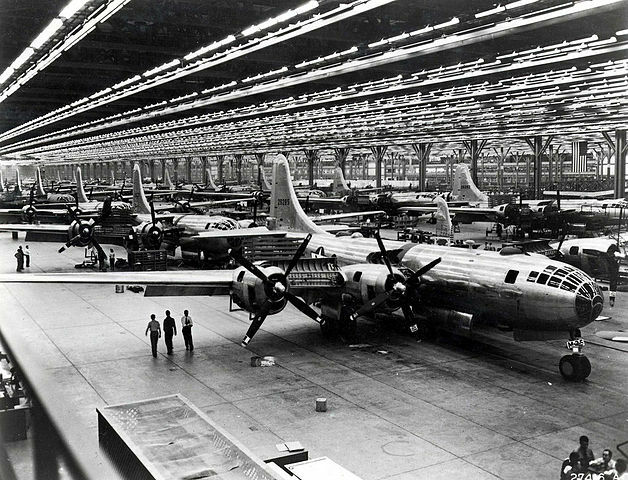 Just before the US had its footsteps in World War II, Boeing submitted to the army their proposal for the B 29 heavy bomber. It was one of the more advanced airplanes of the war with features such as guns that were able to be fired from far by remote controls. During a its 3 year production run nearly 4,000 were produced and used until its retirement in 1960. 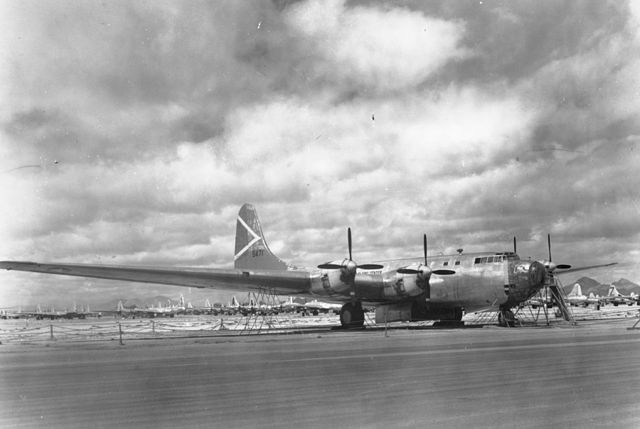 The Boeing B-29 Superfortress had a whopping wingspan of just over 141 ft. This military transport aircraft was designed and built by the Russians back in 1966, and is still in active service today. 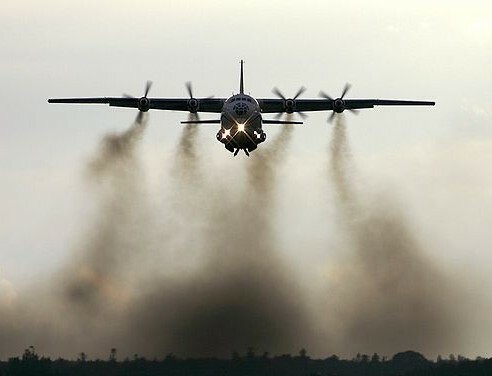 The Antonov An-22 is powered by four turboprop engines, making it the largest turboprop aircraft to still be in use today. 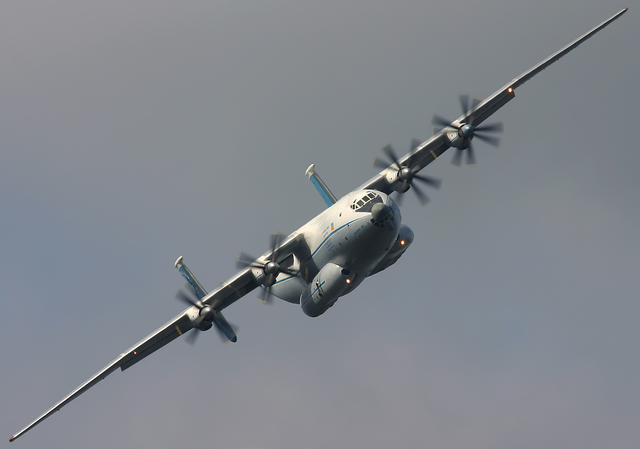 The main objective of the An-22 was to be able to transport missiles. When the new version of the An-22 started in 1961, it was mainly required to be designed in a way that it could land and take off in the smoothest possible with all its massive weight, and so the engineers developed 12 wheels to make it happen. 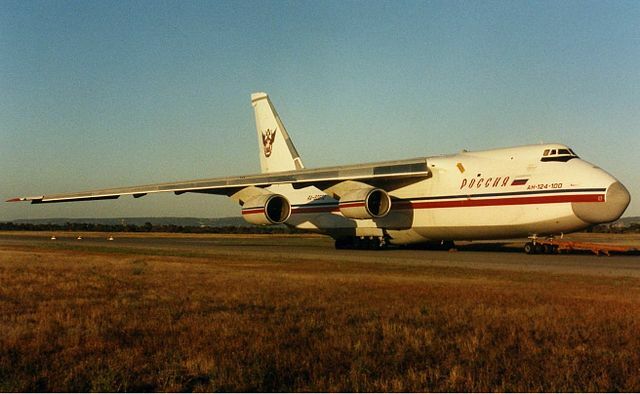 It’s thought that just under 70 of these were built between 1966 and 1976, although they’re currently being phased out by the An-124 which we mentioned earlier. Either way, it’s one heck of an aircraft! While many of the planes on our list have been used during wars and other missions, there are some which never made it past the prototype stage… Such as the Douglas XB-19. Just one of these heavy bombers was made in 1941, in order to test the characteristics of similar large planes. While its construction was almost cancelled due to the overly expenses, it was eventually redeemed for test fly by the Army Air Corps. Its flight debut was on June 27, 1941, and after it was approved for flying, its main flying purposes were for transporting cargo until 1949. The experiment was seen as far too expensive and the whole test was cancelled in 1949, with just one flight under its belt. Back to a more modern military aircraft now, and yet another to be designed and built for the US Air Force. This Boeing offering is nothing short of a giant, with a wingspan of 185 ft and a maximum takeoff weight of 488,000lb. 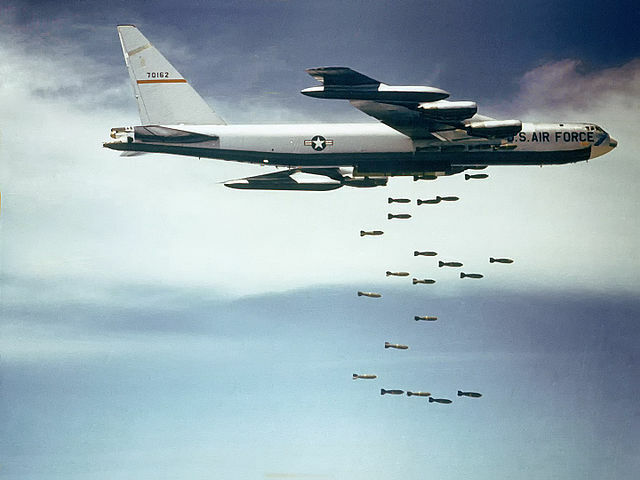 The B-52 Stratofortresses pretty much set the standards for future aircraft that were able to drop and launch a wide variety of machinery including cluster bombs, gravity bombs and more. Due to its sophisticated technology, it’s said to have an extremely and extraordinary life span, beyond 2040, in fact. 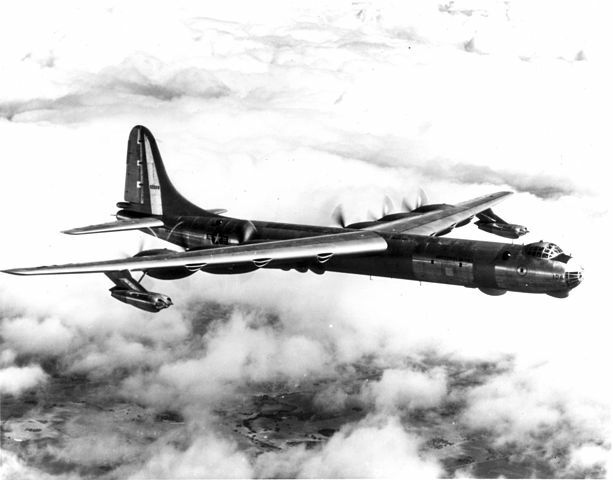 This strategic bomber was first produced in 1952, taking to the skies in April of the same year. Production was stopped 10 years later after around 750 were built, however it is still in active service today. This Russian flying fortress is another experimental aircraft to make it onto our list, designed and built in the early 1930s. The configuration of this military plane was quite unusual, thanks to the large pods under the wings to hold machine guns and landing gear. The air beast was designed by Konstantin Kalinin, a Russian pilot from World War I. The plane included seven engines and a 53 meter wingspan. Its first flight took place only 30 years after the famous Wright Brothers made their first and historical flight. Its first flight was in 1933 and it showed some serious instability, which led to a few design changes and yet another test. Unfortunately, the plane crashed and burned in November, and the project was abandoned. This is quite possibly one of the most modern aircraft to make it onto our list, after entering IOC service back in 1987, and full service in 2005. 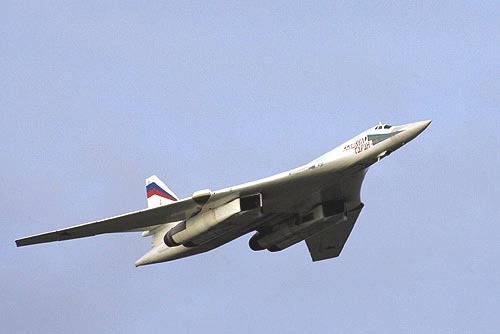 Designed and built in the Soviet Union, the Tupolev Tu-160 is the largest aircraft in the world in terms of combat, supersonic, and variable sweep. 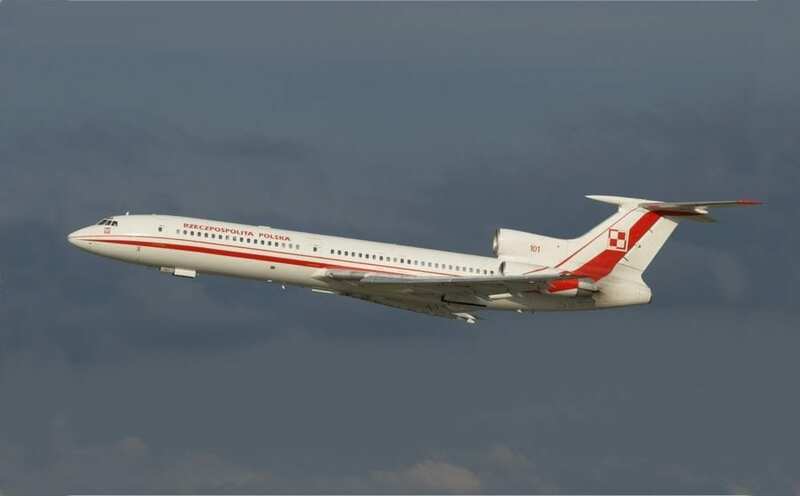 Nicknamed the White Sawn by its pilots, the Tupolev Tu 16o had a long lasting developmental process with its first prototype being flown in 1981 and became active in 1987 while the second plane was actually lost that same year. Only a few military transporters or civil planes are actually larger than this strategic bomber. A modernization program has been underway since 2014 to update these huge planes. Another modern plane to make it onto our list, this time not hailing from Russia or the US – in fact, the Xian Y-20 is from China. 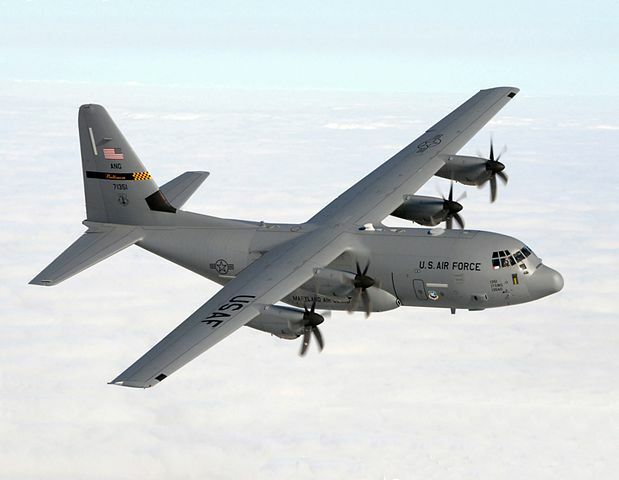 This military transport plane was officially launched back in 2006, but didn’t take its first flight until 2013. The Chinese aircraft is one of the largest military machines to ever be produced. 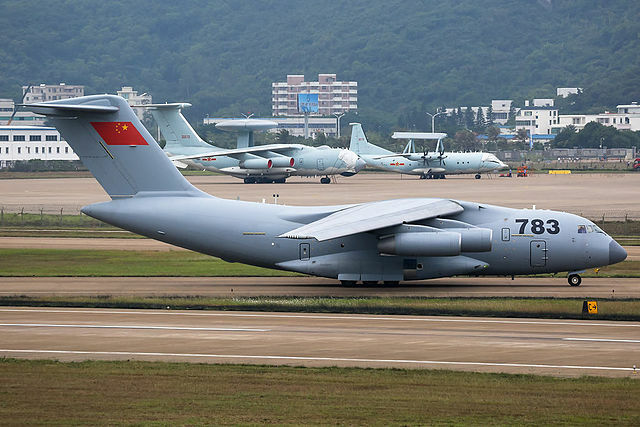 The Y-20 has two nicknames, a more official one being “Kunpeng” which refers to a Chinese bird and the other one being “Chuuby Girl” due to its heavy weight. Its airbase is in Chengdu and can be easily discharged anywhere its needed. It was officially introduced in December 2015, after years of testing and various prototypes. Known as ‘Chubby Girl’, this plane has 4 prototypes in service currently and more are being built as we speak. This German plane was the largest land-based transport aircraft during World War II, and was produced between 1942 and 1944. Although it may have only had a 2 year production run, it’s thought that a total of 213 were made during that time; several of which were converted from the ME 321. 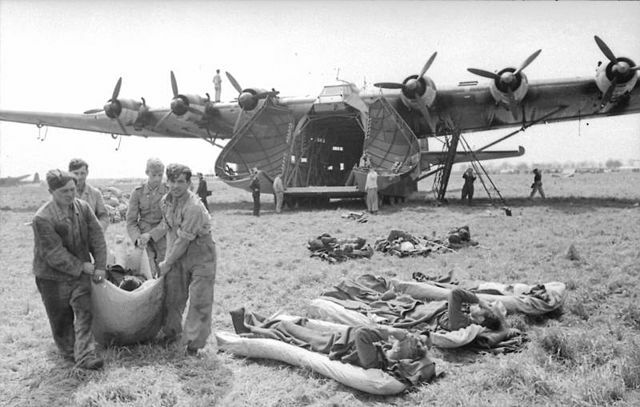 The massive aircraft that was used by the German military during the Second World War could carry over a hundred soldiers. There were a total of 213 replicas of the same plane built, all based on the Me 321 glider. Despite a couple of hundred of them being made, they weren’t in use for very long and were retired almost immediately after the war in 1944. The name of this plane may ring a bell, as Valkyrie is known in Norse mythology as ‘the chooser of the slain’. If that sounds daunting then just wait until you learn more about this prototype plane. It was built to be armed with nuclear weapons and to reach such a speed that it would be practically immune to interceptors. 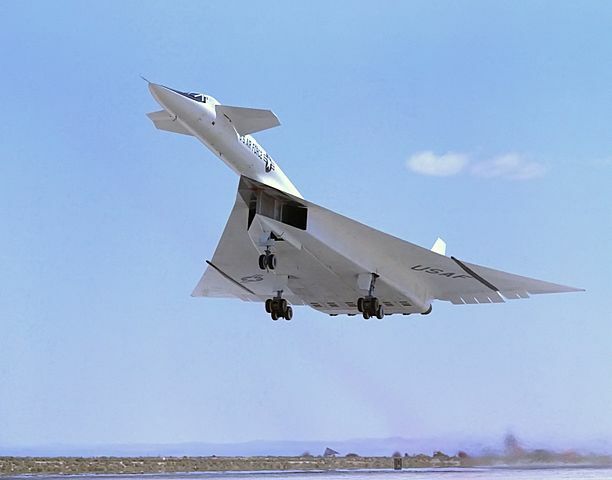 The construction of the XB 70 started in 1955 when the United Stated Airforce requested to have a bomber with a Mach 3 that could fly extremely high while being able to carry heavy machine guns. Due to some great technological advances during those years, it was possible to create such an aircraft. Essentially, this was going to be one seriously deadly aircraft. The program was started in the early 1960s, cost $1.5 billion, and then was scrapped in 1969. A lot of the Antonov planes have made it onto our list, it seems as these guys really wanted to make something large and powerful. Designed and built in the Soviet Union back in 1957, it’s actually one of the longest running planes to make it onto our list. From the moment it started its operational service in 1959, the aircraft has pretty much become the Soviet Union’s most prominent transport machine. After over 1000 airplanes were built, the production was terminated in 1973. The An-12 has been compared to the Lockheed C-130 Hercules quite a lot, but it does weigh less and is smaller in size. While production was stopped in 1973 it’s thought that many of the 1,248 of these planes built are still in active service – although mainly for transporting cargo. Another plane named Hercules to make it onto our list, it must be something to do with the Greek hero’s sheer power and strength. This prototype plane was built predominantly with birch due to the concerns regarding metal supply during World War II. 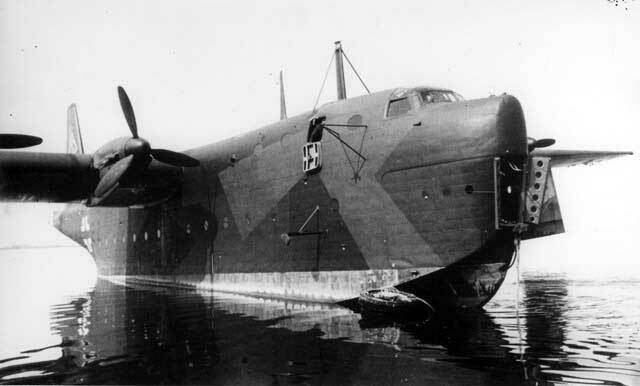 The flying boat was constructed to carry up to 750 troops, and it included eight engines and one hull which has a deck for operating the staff. The designer, Howard Hughes who passed away in 1976, wanted to make sure that the Hercules was always preserved under the best conditions in case it was needed to be discharged for flight. 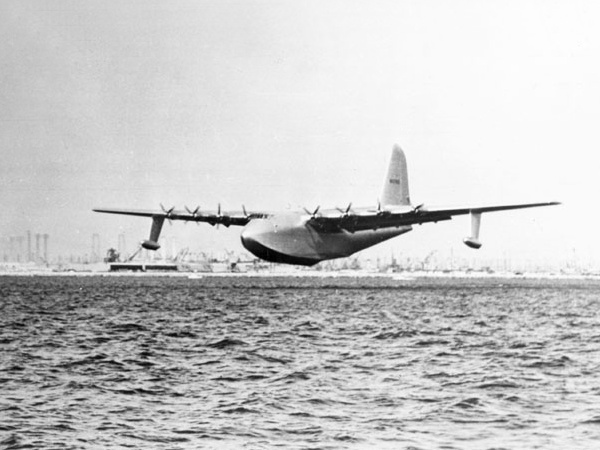 It is the largest flying boat to have ever been built, with its first flight back in 1947. Unfortunately, it never made it passed a prototype. 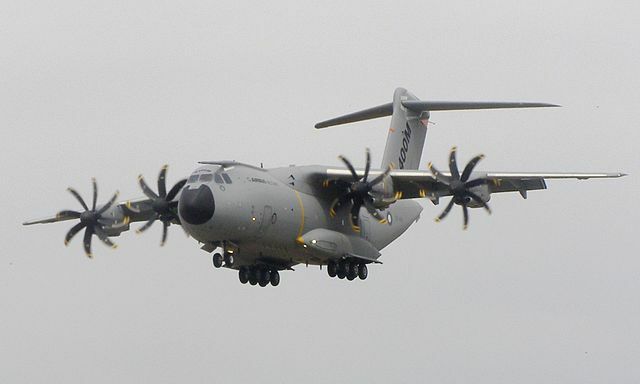 This Airbus transport aircraft is another one of the most modern on our list. Having been designed and built back in 2007, this plane entered service back in 2013 for the French Air Force. The four engine Airbus was designed with specific strategies to replace older aircraft intended for transport. Size wise it is somewhere between the C-130 and the C-17. 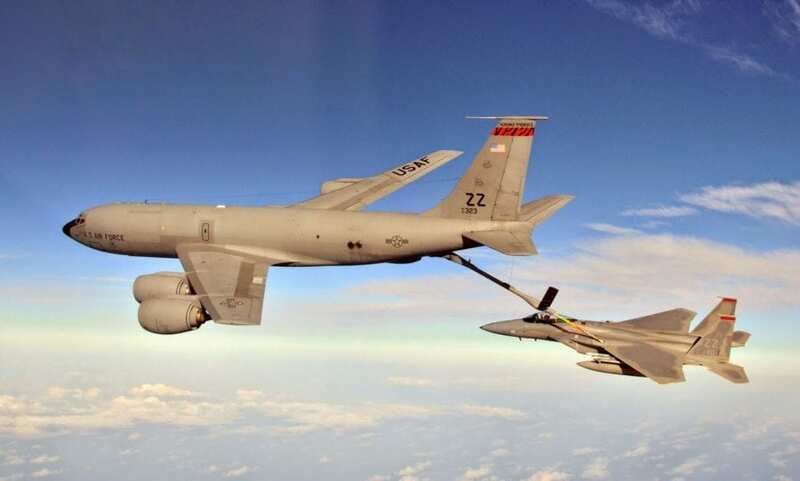 One of its features is its ability to aerial refueling. While it was planned to debut its flight in 2008, it only took place one year later when it took off from Seville, Spain. Despite its size it isn’t extremely expensive to build, costing around 152 million Euros each one. This is likely to be one of the most used transporter aircraft in modern times. Okay, so it’s technically not a plane but we couldn’t not add it to the list. The Mil Mi-26 is a Russian helicopter which is the largest and most powerful in the world. 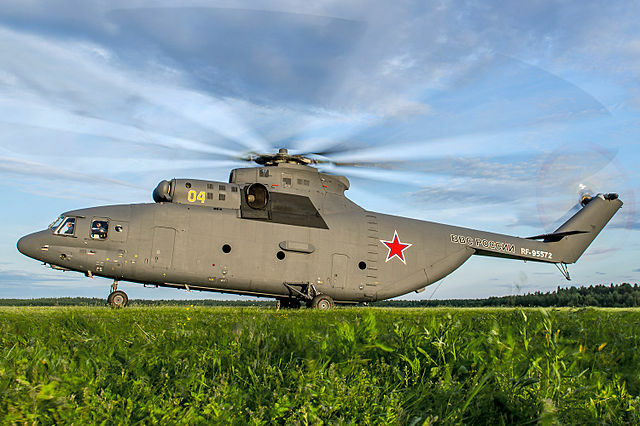 When it comes to the load capacity, the Mi-26 is considered the best in the world in terms of production. It is multi purpose including evacuation, transportation and fir fighting. The massive helicopter is able to hold up more than 80 fully equipped soldiers. Just recently, Russia began developing a new engine to power the helicopter. Over 300 of these have been built since the 1980s, with several Air Forces using them still today; including in Russia, Ukraine, and India. It can carry over 123,000lb. What is the cast of Fast Times at Ridgemont High up to today?